This blog was originally posted on September 19, 2016 on the U.S. Green Building Council’s website. It is republished here with their permission. Southern Oregon University’s Roxane Beigel-Coryell shares the school’s major initiatives to drive eco-literacy and sustainability leadership on campus. USGBC® and Second Nature recently announced the winners of the 2016 Climate Leadership Awards, which recognize innovative and advanced leadership in sustainability, climate change mitigation and resilience at signatory campuses of Second Nature’s Climate Leadership Commitments. We sat down with this year’s Honorable Mention recipients to get their insight into how they demonstrate sustainability leadership and the impact the awards program has had on their communities. Southern Oregon University’s Roxane Beigel-Coryell talks about some of their major initiatives to drive eco-literacy and sustainability leadership on campus and throughout the community. Tell us a bit about Southern Oregon University and your role here. Southern Oregon University provides comprehensive educational opportunities with a strong focus on student success and intellectual creativity. 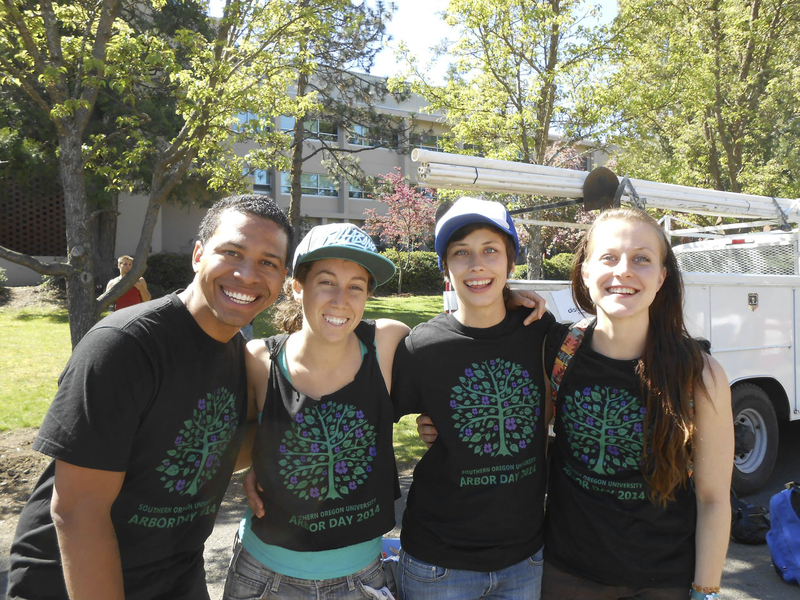 Located in vibrant Ashland, Oregon, SOU remains committed to diversity and inclusion for all students on its environmentally sustainable campus. I have the privilege of serving as SOU’s Sustainability and Recycling Coordinator. In my role, I manage the campus recycling and waste diversion programs, working with students and departments throughout campus to reduce waste and increase diversion from the landfill. When I’m not peeking in the trash, I manage and facilitate campus sustainability initiatives, including integration of sustainability in our operations, policies and academics. My role includes ongoing collaboration across campus to foster the university’s progress toward our climate action and sustainability goals. From implementing energy efficiency and solar power projects to conducting waste audits with students to making inventory of greenhouse gas emissions, SOU is perpetually advancing our goal to model sustainability. How has your institution approached sustainability throughout campus and in the classroom? SOU has made a deep commitment to sustainability that is modeled throughout our campus, and students, staff, faculty and administration work together to implement innovative and progressive sustainability policy, curriculum and action. SOU offers several majors, minors and certificates with a focus on sustainability, such as a certificate in sustainability leadership and a bachelor’s degree in environmental science and policy. Additionally, sustainability curriculum is integrated into nearly 10 percent of all courses offered. Students and faculty also use the student-led organic campus farm as a living-learning laboratory. The Farm at SOU is a hub for education, student and faculty research and community outreach to the Rogue Valley. It produces healthy, sustainably harvested food and inspires a generation of ecologically committed leaders who promote a vision of living and working sustainably in community and on the land. The Climate Leadership Awards provided our campus the opportunity to pause for a moment to highlight the incredible work we have been doing to cultivate a sustainable community. It brought together people from all corners of campus, highlights value and contributions of areas that don’t typically consider themselves part of sustainability. SOU students planting trees for Arbor Day. Photo credit: Southern Oregon University. Are there any campus initiatives that have made a demonstrated difference in operations, practices or attitudes? One of our recent and most exciting initiatives is earning the designation of the first Bee Campus in the U.S., which was a result of the dedication, collaboration and innovation of students, faculty and staff. The initial idea, inspired by the Bee City USA movement, was to create a similar designation for college campuses to allow institutions of higher education to serve as models of pollinator-friendly practices. Through our efforts to help create the program, SOU has expanded on our sustainable landscape management practices, introduced pollinator gardens throughout campus, and provided courses for students and the community on the role and value of pollinators and how to foster a sustainable environment for all. From your perspective, what has been key to developing, maintaining and growing your sustainability commitments? The key to our success has been the support and dedication at all levels of the university, from students to faculty and staff to upper administration. SOU truly exhibits a culture of sustainability that can be felt throughout the campus. It is also important for us to celebrate our accomplishments, big and small, to acknowledge the positive impact we are having on our campus and in our community. Do you have any advice on how others can demonstrate sustainability leadership? In SOU’s experience, the best way to demonstrate leadership is to try new things! We have been pioneers in several endeavors: in addition to our work with Bee Campus USA, we were one the first universities to offset 100 percent of our energy use, and have so far diverted more than 62 percent of campus waste from the landfill. Additionally, we’ve increased onsite solar generation by 164 percent, and are among the first universities to offset all water use with Water Restoration Certificates. Our other advice is to work together to leverage one another’s passion, expertise and diverse perspectives. Students come into the university with fresh minds and innovative concepts that can lead to extraordinary results when mindfully mentored by faculty and staff. Throughout this year and into the next, SOU is participating in the development of a Climate and Energy Action Plan for the community of Ashland, an inspirational and important endeavor that we are honored to play a role in. In addition, SOU will be reviewing and updating the campus Climate Action Plan, evaluating the relevance of the goals and actions written in 2010 and updating it to include resilience. Finally, we are looking forward to the addition of several LEED buildings on campus, including the newly renovated Science Building and a Student Recreation Center and Athletics Building that is currently under construction. Feature image: SOU’s LEED Gold McLoughlin Residence. Photo credit Southern Oregon University.